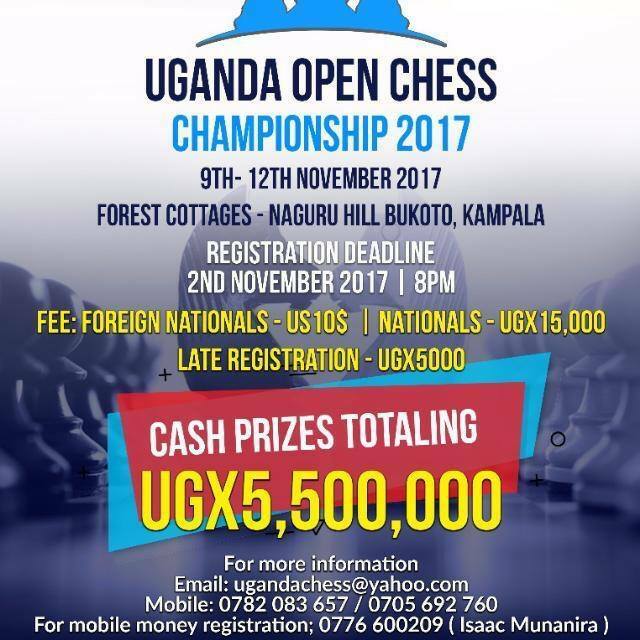 The 2017 Uganda Open Chess Championships are shaping up very well and there are already more than 60 players registered to participate. The strong field us currently headed by local IM's Arthur Ssegwanyi (2373) and Elijah Emojong (2333). They will face stiff opposition however from the likes of FM Harold Wanyama (2290) and FM Haruna Nsubuga (2207). The Kenyan challenge is currently headed by Githinji Hinga (2119) while their are also strong international players from Rwanda, Tanzania, Namibia and South Africa who are expected to register shortly. The field is limited to approximately 150 players and preference will be given to players with FIDE ratings in order to maximize the opportunity for unrated players to secure their first FIDE ratings in the event. Players who do not have a FIDE rating will be ranked according to their URS ratings where available for pairing purposes. 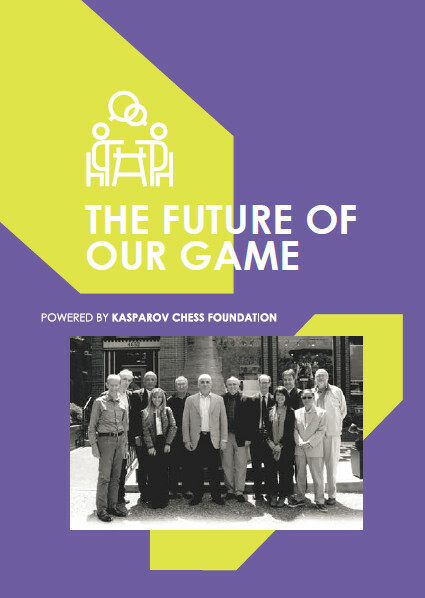 The players list is now published at http://www.chess-results.com/tnr308457.aspx?lan=1 and will be updated regularly as entries are received. 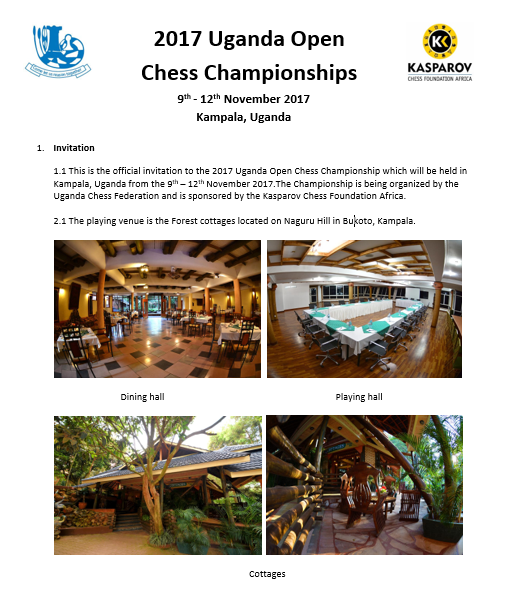 This event is shaping up as one of the top events in East Africa this year and we look forward to partnering with the Uganda Chess Federation for what will be our first major tournament in the country.